In today’s highly competitive real estate industry, there has never been a greater need for accurate reporting of a property’s true living area, or gross living area (GLA). All too often, the gross living area reported on public records differs from what actually exists. The Multiple Listing Service (MLS) and any Broker-In-Charge require Realtors to report an accurate and detailed summary of a listing when it is entered into the Multiple Listing Service (MLS). Home Measurement: This is the most popular type of home measurement service requested to date. This service is designed to provide our clients with an accurate and affordable solution for determining a home’s Gross Living Area (GLA). This basic service can be instrumental in assisting homeowners or realtors with the house valuation and listing of their homes. Having the correct Gross Living Area (GLA) in a listing can save time and money and help expedite the sale of the home. Call today with any questions you might have or schedule an appointment. You can also receive a free quote by clicking here. If you aren’t sold yet, see what others are saying about Aspen Appraisal Group by clicking here. 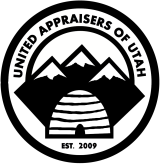 © 2014 Aspen Appraisal Group. All rights reserved.